Oberlenningen - Oberlenningen is a municipality in the third-largest German state Baden-Wuerttemberg. Oberlenningen is located in the administrative district Esslingen. Olga's note: Rita has reported that she has found her mother. Isn't that great! 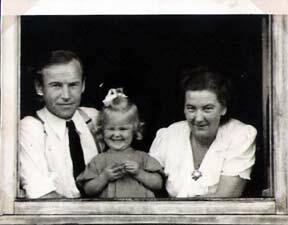 My name is Robin Archer and I am researching my wife’s grandmother, Olga Martinovkis. She taught English to the students at Camp Ohmstede in the late 40’s. Her husband, Otto, ran the kitchens there. I am trying to reach other people who lived in this camp to see if I can link up old names. Any help would be greatly appreciated. Oldenberg, #223, #224, about 5,000 residents, mostly Balts, Latvian, Lithuanian, Poles (British zone) (today: Lower Saxony (Niedersachsen). The Lithuanians published a newspaper called, 'Buitis'. I was tidying up some things in my house today and came across a wooden vanity case/jewelry box stamped LITHUANIAN DP CAMP UNTERMBERG (Oldenburg) 1946. It belonged to my grandfather (born in Latvia) and he had written on the bottom of both little drawers his name (Joseph Zastar) and the name of the man I presume either made the box or gave it to him - Rakausko Jono (also a number - 737). My grandfather came to Canada in 1929, so I know he was not at that camp, so he must have obtained the case at a later date, but I was just wondering if anyone by the name of Rakausko Jono (John Rakauskas?) might have been at that camp in 1946 .... might he have family looking for information about him? Today known for the Muenster-Osnabrueck International Airport on Greven's soil. for which he was eternally grateful! 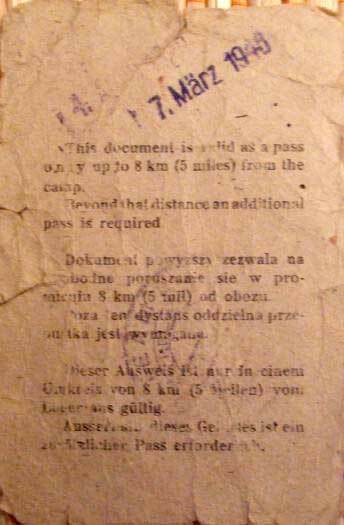 I am the 58 year old daughter of Aniela Gliniak who was in a DP camp in Ossendorf by the looks of these papers. She did not talk much of the WWII. It was too awful but I was able to get this piece of document that she did not throw out. PS. I like your art work! Osterode am Harz often simply called Osterode, is a town in south-eastern Niedersachsen on the south-western edge of the Harz mountains. It is the seat of government of the district of Osterode. The town is twinned with Scarborough, in the United Kingdom. Osterode is located on the German Framework Road. I’ve written to the Osterode Stadsarchiv requesting more information and would like to find more about this fascinating aspect of my mother’s life. Even knowing the location of the camp would be interesting in the event that I ever find my way to Germany. there in house: VILLA UHL. This group belongs to: Admin.Sub. Area, GOSLAR (Harz) BOAR 11. - This office Osterode was cancelled 20th June, 1950. Oxford camp was in Lüneburg (Lueneburg) from December 1945 (probably already before) until June 1947 or May 1948. The camp had the DPAC (Displaced Persons Assembly Centre) numbers 257 in December 1945, 2510 from December 1945 to March 1946 (and onward? ), 2519 from February to June 1947. It had the DPACS number 83/2519 or simply 83 from June 1947 to May 1948. Dannenberg and Lueneburg are no adjacent towns. 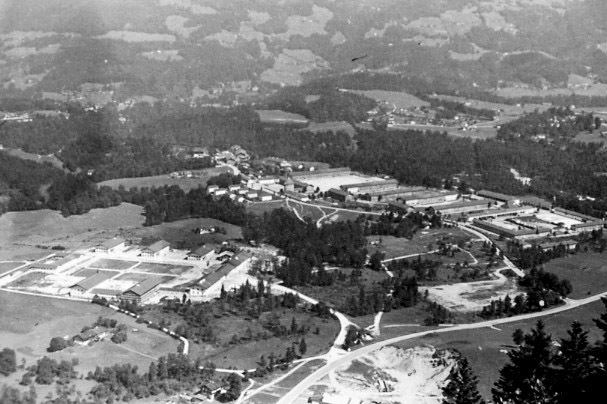 In Dannenberg also was a DP camp at least from June to September 1947 with the DPACS number 89 or 89/2510, possibly already before these dates. I have not found a name for this camp in the British national archives, so perhaps it was a second Oxford camp. IRO, International Refugees Organization, began to work only on July 1st, 1947. Until June 30, 1947 the UNRRA (United Nations Relief and Rehabilitation Administration) took care for the DP camps. 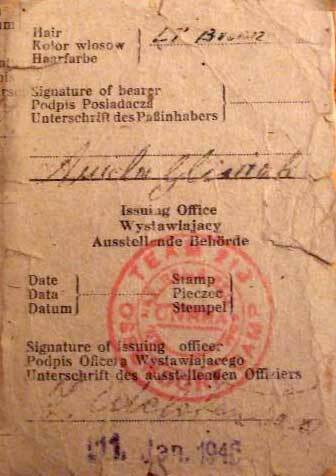 Kind regards, Wolfgang Strobel, author of Post der befreiten Zwangsarbeiter - Displaced Persons Mail Paid in Deutschland 1945 - 1949. Greetings from Laura, South Australia. The Good Book says: "Ask and you will receive, believing it to be so". I did ask, believed and your web-site came into my world. Thank you. I need your assistance please? I have German and Latvian copies of my birth certificates issued as No: 41, (I don't know the significance of that number) D.P. Oxford Camp 26th April 1946. Can you assist please? 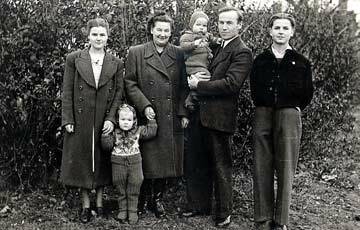 My mother remembers that we arrived in Germany in 1944. From there until we left Trieste, northern Italy on the good ship Dundalk Bay, there is a forgotten gap of just over five years. I have contacted the Australian Archives in Canberra about our migration records and am waiting for a reply. I trust that with your assistance and whatever information the Australian Government gleaned from my mother and father as newly arrived Displaced Persons will help fill in those gaps. I have witnessed the interest that three of my boys have shown in matters dealing with World War 11, so I am sure that they also would benefit from the information their father is seeking.